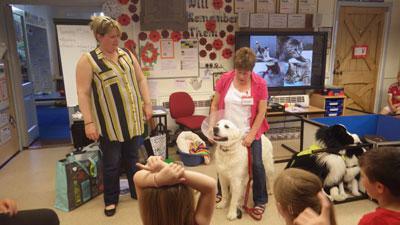 On Tuesday 19th July Sarah who runs Eden Animal Rescue and volunteer Allyson came into school. 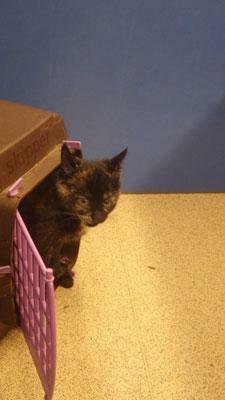 It was a very exciting visit as they brought three kittens: Treacle, Smudge and Shelly and also Allyson’s dog Jasper. Allyson explained to the children about what the charity do and how they run, she told us their exciting news about moving to a new centre which is on a farm near Temple Sowerby. We made a pen out of some tables and enjoyed playing with the kittens; they especially liked having company and toys to play with as they live in the cattery at the centre and need forever homes. 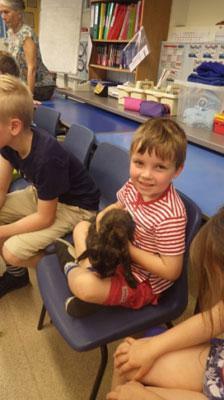 We also learnt how to spot signs if a pet is poorly and what to do if we see homeless animals. 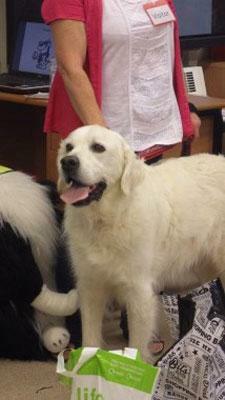 Allyson showed us how to do a health check on Jasper. Outside in the yard she read out some scenarios, we learnt the best thing to do if we met dogs that we didn’t know and how to see if they were nervous. The children raised £89 by coming into school in non-uniform and paying a pound also the donations from the Music concert were put towards this. 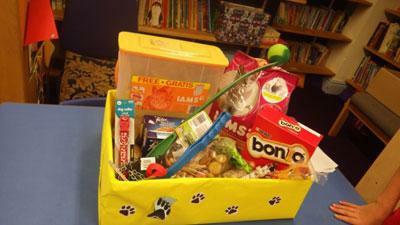 The children also donated dog treats and accessories and we made a hamper this was presented to Sarah by Thomas from the School Council. 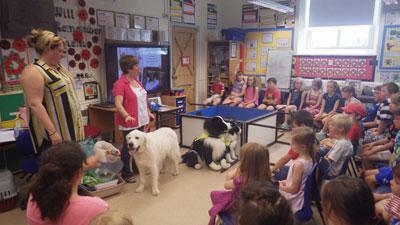 Allyson and Sarah were delighted at our fundraising efforts and thanked the children for their outstanding behaviour. They also welcomed any children along with their parents to go and see the new centre when it is up and running. Thank you to everyone who contributed to the hamper.